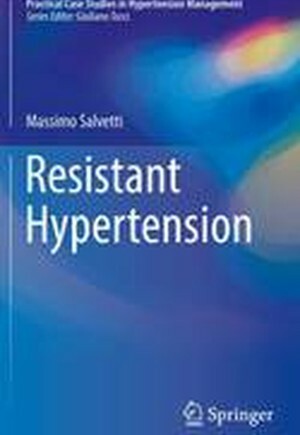 This book is designed to assist physicians in the everyday management of hypertensive patients, with a particular focus on difficult-to-treat and resistant hypertension. The selected clinical cases are representative of the patients who are seen in the "real world", rather than rare clinical cases, and provide examples of management according to current international guidelines. The scenarios considered include not only cases in which arterial hypertension is truly resistant but also instances of pseudo-resistant hypertension, including cases in which resistance is related to comorbidities, concomitant treatments, or the use of drugs. The ultimate objective is to provide paradigmatic examples of evidence-based approaches to difficult-to-treat patients that will help physicians to select the most appropriate diagnostic tools and evidence-based treatment strategy for each individual patient. Clinical scenario 1: Adult Patient with True Resistant Hypertension.- Clinical scenario 2: Adult Patient with Pseudo-Resistant Hypertension: high BP induced by exogenous substances.- Clinical scenario 3: Adult Patient with Pseudo-Resistant Hypertension: low adherence.- Clinical scenario 4: Adult Patient with Pseudo-Resistant Hypertension: drug intolerance.- Clinical scenario 5: Adult Patient with Pseudo-Resistant Hypertension: spurious resistant hypertension.- Clinical scenario 6: Adult Patient with Pseudo-Resistant Hypertension: comorbidities.